Candy Michele Kniss, 52, of Paw Paw passed away suddenly November 29, 2018 at her home. She was born February 17, 1966 in Kalamazoo, the daughter of the late Michael Rendel and Joanne (Daggitt) Johnson. Candy was a 1984 graduate of Paw Paw High School, earned her Bachelor’s Degree from Northern Michigan University in 1987 and a Paralegal Certificate from Davenport College. She was employed by the Michigan State Police-SCAR Unit as an office manager, was an active member and deaconess of the Paw Paw Seventh-day Adventist Church and was a powerful advocate of Special Education. On September 4, 1988 in Paw Paw, Candy was united in marriage to Christopher Kniss, who survives. Also surviving are two daughters, Ashlee Kniss of Bangor and Abby Kniss of Paw Paw; three sisters, Wendy (Todd) Stark, Nicole Shackelford and Constance Rendel; many nieces, nephews and cousins. She was preceded in death by her parents and grandparents. 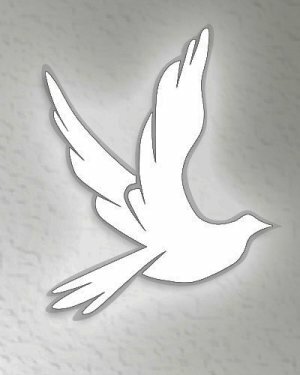 A memorial service will be held at 2:00 p.m. Tuesday (12/4) at the Paw Paw Seventh-day Adventist Church, 60409 M-40 Highway, Pastor Michael Taylor officiating. Family and friends may gather from 12 noon until the time of the service. Memorial contributions may be directed to the Paw Paw Seventh-day Adventist Church. Arrangements have been entrusted to Adams Funeral Home.